The Six Pack Project: BC! Today, I have honor of taking part in something new. Specifically, its a project that brings beer snobs and lovers from across the continent – and indeed, the world at large – together in our shared fondness for one of mankind’s oldest spirituous beverages. 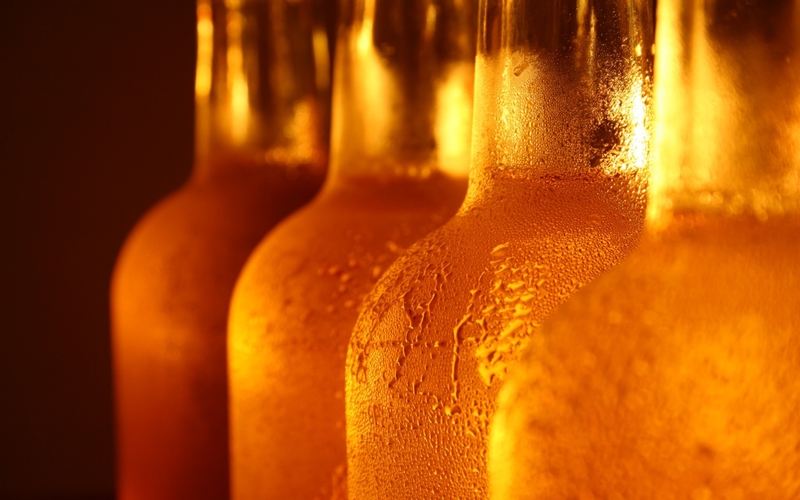 It’s known as the “Six Pack Project”, a campaign that was started by blogger Bryan Roth who shares his love of beer through his website This Is Why I’m Drunk. And the rules of the project are really quite simple. Every month, six bloggers are featured where they select six beers that they feel best represents their locality and/or its beer culture. The selections must be brewed in-state (or in my case, province) and should be year-round varieties as much as possible, though seasonals are also acceptable. With these basic criteria in mind, I set about trying to select six beers that I felt best represents British Columbia’s brewing culture. 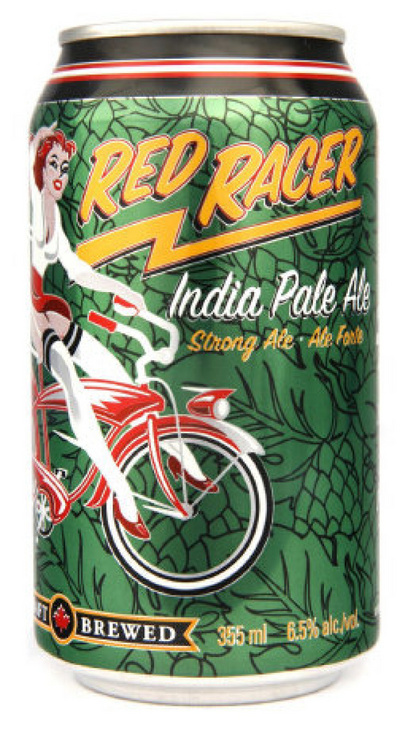 Definitely a contender for the best India Pale Ale in BC, if not the entire country, Central City’s Red Races has everything that a fan of Pacific Northwester IPAs have come to expect. This includes a rich amber hue, a strong and floral hop aroma, and a taste that proceeds in waves. This begins with a syrupy, slightly sweet malt flavor, then gives way to a citrusy blend hops that are highly reminiscent of grapefruit before finishing with a lingering bitterness. Strong, yet balanced, it also manages to be quite refreshing, which is not easy when dealing with your maltier, hoppier brand of India Pale Ale. So really, what you get is a very well rounded beer with a wonderful balance of characteristics. Add to that a respectable alcohol content of 6.5 % per volume and you’ve got a winner! British Columbia is renowned for producing some mighty fine brown ales, but Cannery’s Naramata Nut Brown remains one of the smoothest and pleasing ones I’ve had to date. Dark and almost stout like in its appearance, this brown is very smooth to taste, but packs a viscous, chewy mouth feel and some very toasty malts that do a nice dance on the tongue. All of this is then rounding out with a nice hop finish and some well-placed chocolate notes. And consistent with its name, it also has a slight nutty profile that calls to mind the taste of cashews and other roasted, harvest nuts. 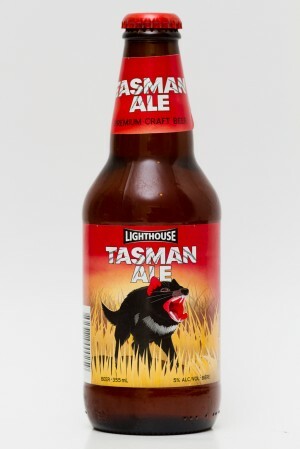 Produced by Victoria’s own Lighthouse brewery, the Tasman is an session ale that is brewed with local malts but has the distinction of being flavored with hops imported from the Tasman region of New Zealand – hence the name and label art. The result is an light amber-colored ale with a light head that is reminiscent of both a good Northwestern Pale Ale and an ESB. This comes through in the slightly sweet, syrupy malts and the hop profile that is at once citrusy, subtle, multilayered and reminiscent of a dry-hopped bitter. On top of that, it maintains a respectable 5% alc/vol, despite being a session ale, and finishes quite clean and refreshing, making it an all-around pleaser! As part of Driftwood’s Bird of Prey series, Belle Royale is the third Flanders-style sour ale produced by this brewery. And in my opinion, it is the best so far. This may have to do with the fact that in all previous cases, I was automatically reminded of the tart taste of sour cherries when I sampled them. So it seemed ridiculously appropriate that they chose to fashion one that actually incorporated the fruit this past year. 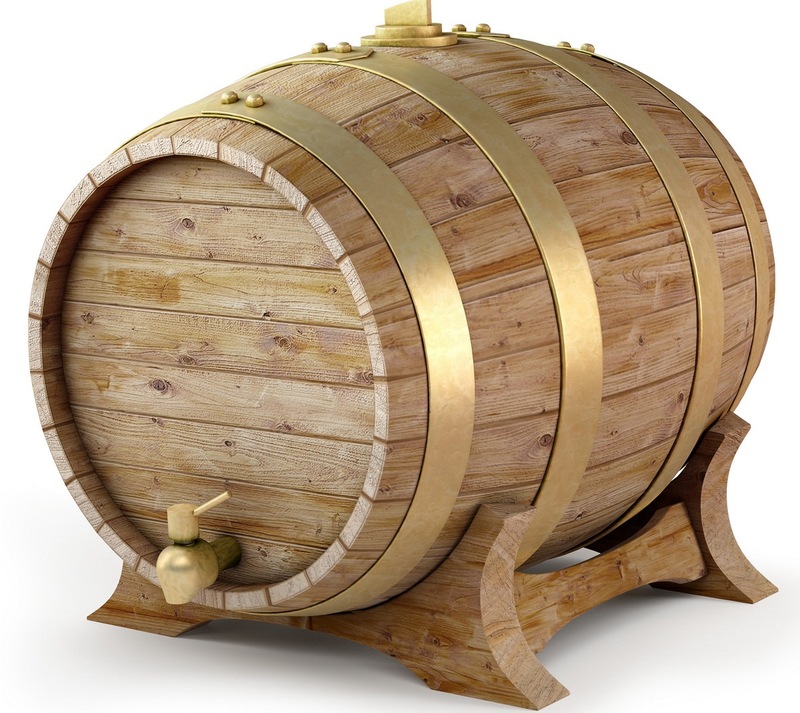 Combined with an oak barrel-aging process and the addition of specialized yeast that brings out the lactic acid, this beer has several layers of flavor which the accomplished beer drinker will enjoy sorting through. It begins with a burst of tart cherries, then proceeds to an oaky flavor similar to a dry red wine, and then on to a lingering flavor of mild sugars, yeasts and tart fruit flavor. And at 8% alc/vol, it also packs quite the punch! 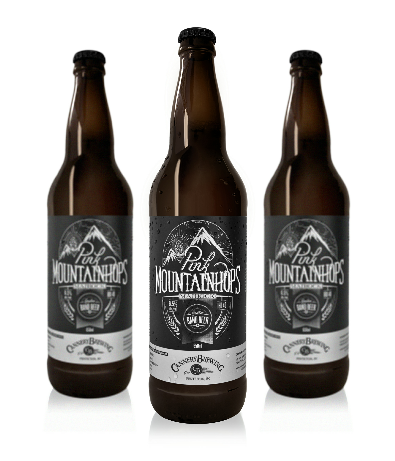 Located in Powell Rivers’ historic Townsite district, this brewery is the chief purveyor of beer to the Sunshine Coast, and arguably one of the best breweries in all of BC. And it is without exaggeration that I say that their YOGN 82, the second beer in their Hulk Series, is one of the better Belgian Triple’s that I’ve ever had. Between its golden blonde hue, distinctive Belgian nose, strong malts, hints of banana, and an oaky aftertaste, it has just about everything I have come to know and love about this distinctive style of beer. But one difference which sets it apart is the added kick of citrus and sugary malts, which add some more dimension to the flavor. And like all good Triples, it weighs in at a hefty 9% alc/vol. To be nurtured slowly, and with care! Last, but certainly not least, is my current favorite wheat beer that is brewed right here in-province. Produced by Moon Under Water, another brewery located in the heart of Victoria, the Victorious Weizenbock is also my favorite beer out of their entire lineup. Basically, it incorporates the styles of a hefeweizen and a bock to produce something that is truly interesting and harmonious. This comes from the combination of Canadian wheat, German Munich and Chocolate malts, along with New Zealand hops, specialized yeast, and a bock lagering process. And what comes out of all this is a beer that is smooth and tawny at first, then transitions into the sweet and rich, and has notes of banana, clove spice, chocolate, and a nicely spicy, yeasty aftertaste to round it all out. And at 8.2% alc/vol, it’s no slouch in the strength department! Believe me when I say this was a tough process and I had some hard calls to make. If I could expand on this, I definitely would. But what can you do? Rules are rules, and there’s only so many spots for top contenders. 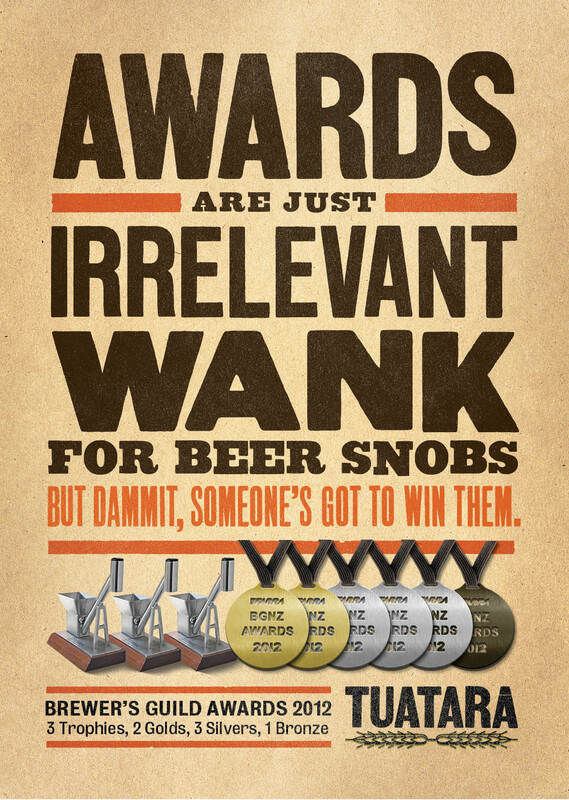 Here’s hoping it helps some people out there in their ongoing quest to find new and interesting beers to try! Connecticut by Kristen at Now Beer This! Quite the mouthfull, isn’t it? Well, believe me when I say that nothing about this beer seems tame or conventional. In addition to a label that is designed to look like something that requires 3D glasses, this New Zealand brew and its patrons were clearly going for something overwhelming, yet nuanced, powerful, yet balanced. And the style, IAPA, I can only assume means Imperial Australian Pale Ale, or possible Imperial American Pale Ale. Hard to say. All I know is, given its strength, maltiness, and extreme hoppy profile, this beer is essentially an Imperial IPA with a big twist! But I digress… This beer came highly recommended from one of my buds at the beer store. Weighing in at a heft 9% alc/vol, and loaded with hops to the point that it ranks at a stunning 167 IBUs (most IPAs rank between 40 and 80). The varieties include Pacific Jade, Nelson Sauvin, and Simcoe hops to bitter the beer, then Zythos late in the boil for flavour and aroma, and then more Nelson Sauvin for the first dry-hop, followed by more Simcoe and Zythos a second dry-hop. And the result, as I said, is something truly multi-faceted and powerful, though not overwhelming. That’s quite the long name, but after so many specialty and limited releases, you gotta figure the people at Philips have to get creative. Released in honor of their 11.9th anniversary, and brewed to a strength of 11.9 % alc/vol – because apparently anything reaching 12% puts it into a new tax bracket or something – this beer is a very strange combination, and calls to mind their Pandemonium 11th Hour Anniversary IPA, but a lot more so! Whereas that beer was discernible in terms of style and just cranked to the point of being extra strong, this beer kind of falls on the far side of indefinable. 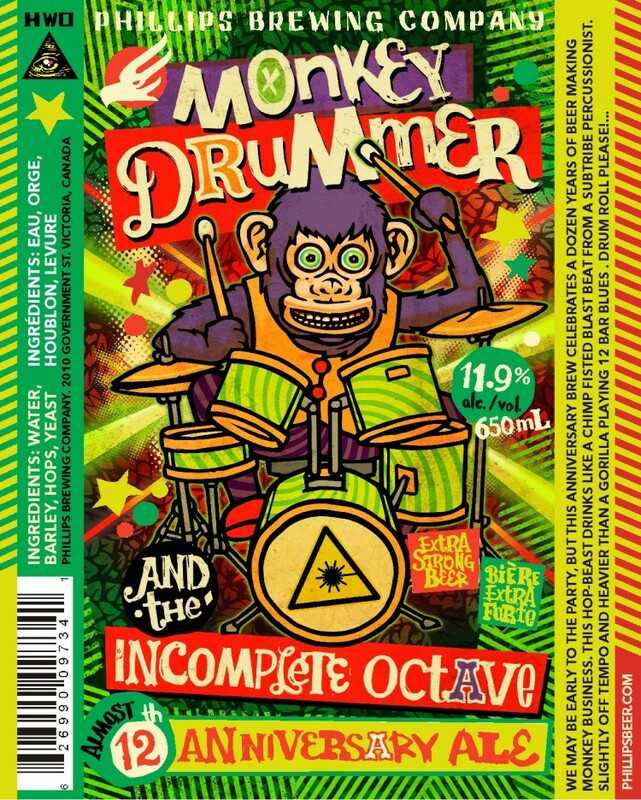 This hop-beast drinks like a chimp fisted blast beat from a subtribe percussionist. Slightly off tempo and heavier than a gorilla playing 12 bar blues. While I am tempted to give this beer high marks for being just so damn powerful, I am forced to mark it down for taste. Basically, there isn’t much to speak of. The alcohol taste overpowers both the hop content and the malt profile, which is too bad because they both seem like they would be nice if allowed to come through. Still, this beer has to be the strongest I’ve had in recent memory. You have to respect that much about it! And we’re back with another sample from the Canadian Band Beer Series, my third sampling of the lineup and just one shy of completion. Today, it is the Cannery Brewery’s contribution to this CBC-sponsored series, known as Pink Mountainthops – a Maibock brewed in honor of Vancouver-based psychedelic rock legends Pink Mountaintops. And this latest variety seems very appropriate, seeing as how this past Spring brought its fair share of Maibocks – such as Driftwood’s Mountain Goat Maibock and Moon Under Water’s Brewvic Maibock come to mind. And this one was consistently good, combining a strong sense of tang, German noble hops, a touch of sweet, sugary malts, and a refreshing finish. Just one more to go, and according to my research, RandB brewery are the ones responsible for its creation. Its known as You Say Barely, We Say Rye, a rye ale and named in honor of Abbotsford’s own You Say Party, and I look forward to tracking it down! This is my second sampling from the Canadian Band Beer Series, a special lineup of beers created by BC brewers in honor of Canadian musicians and bands. 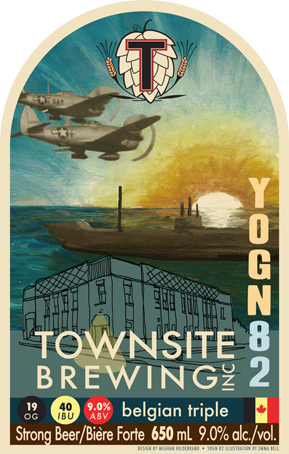 The first encounter I had with this CBC sponsored series began with Townsite’s Brewing’s Said the Ale, a Belgian pale ale named in honor of indie rock legends Said the Whale. 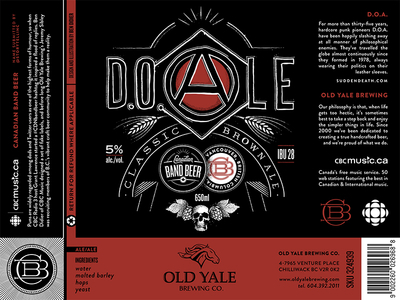 This time round, it is D.O.ALE, a classic brown ale brewed by Old Yale, named in honor of the punk band D.O.A. To be honest, the beer was not what I was expecting. Though a very pleasant brown ale, I found it somewhat light for a beer with a name inspired by a punk band whose name stands dead on arrival. If anything, I expected this beer to be stronger, less accessible, and perhaps something in the 7-9% alcohol range. Instead, we get a nice, mild brown ale with hints of nuts and cocoa, a mildly bitter finish which weighs in at 5% alc/vol. Not bad at all, just not what I expected. Thanks to my local dispensaries, which excel at stocking their shelves with a wide array of international beers, I have managed to get my hands on the latest from the Schneider Weisse brewery! 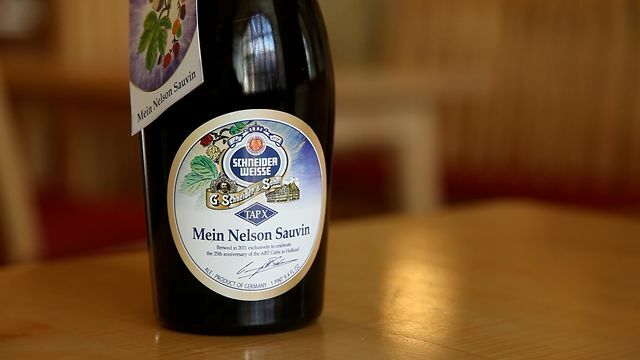 This time around, it is a limited reserve known as Mein Nelson Sauvin, a specialized wheat beer that incorporated Nelson Sauvin hops and comes in a tall, wine-like bottle. And I can honestly say that I’m quite impressed with how this old and venerated brewery – which is responsible for producing my favorite wheat beer and one of my favorite beers of all time – is branching out and experimenting. This would be the third special release beer of theirs that I’ve tried now, and I can honestly say that I think it’s the best. In addition to possessing all the characteristics of a fine Bavarian bottle-fermented wheat beer, it also possesses some decidedly barley-wine like characteristics. It also seems fitting that this beer comes in a wine bottle seeing as how it is in possession of a complex, spicy flavor that oftentimes tastes and smells like Riesling grapes. Oh yes, and it weighs in at a respectable 7.3% alc/vol, not quite what their Aventinus Doppelbock rates at, but still what one would expect from a barley-wine like specialty beer. Yeah, not a bad bottle of hefeweizen at all. Might just be a contender for the “Best Wheats” list. I’m back with another limited release from Philips ample and ever-expanding stock of small-batch beers. And this time around, its another installment in the Twisted Oak series that I managed to procure. This is the third beer in that lineup, and I’m quite proud that I’ve been able to keep pace with their releases. Between the Scotch Ale, the Red Ale, and now the Rye Bock Ale, I’ve now tried them all, and have been pretty pleased. The first installment was a bit of a misfire for me, an imperial Scotch ale where the whiskey infusion managed to overpower the rest of the flavors. And then there was the Red Ale, which was aged in rum barrels and achieved a rich, malty, vanilla-like flavor. This one I was quite impressed with, as it was very smooth flavor, but with a certain candy-like flavor without the addition of any added sugars. As for this installment, I have to say that I was similarly impressed. Combining a bock-style beer with a rye whiskey barrel-aging process, they managed to create a beer that is possessed of the usual sweet, malty flavors and multi-layered nature of a bock with (once again) a certain vanilla-like, smokey flavor. All of this is quite pleasing to the palate without being overpowering. A hit for me, like their Red Ale, and an example that oak barrel-aging can work.